me&him design. Wonderful creativity & business acumen. 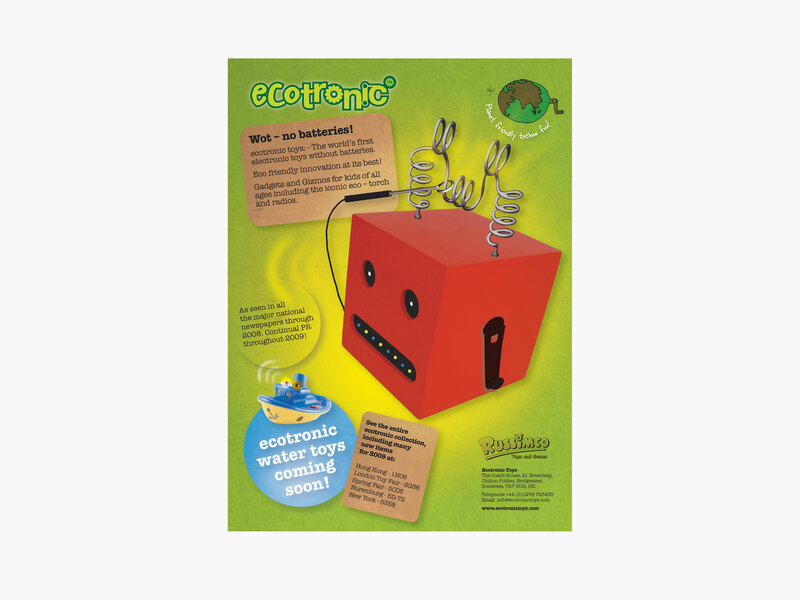 As pioneers of eco-friendly, wind-up toys, Ecotronic turned to me&him for our packaging expertise: how best to package toys (rockets, robots, torches, radios) without harming the environment? We devised the ideal solution: a refined version of the classic egg box. 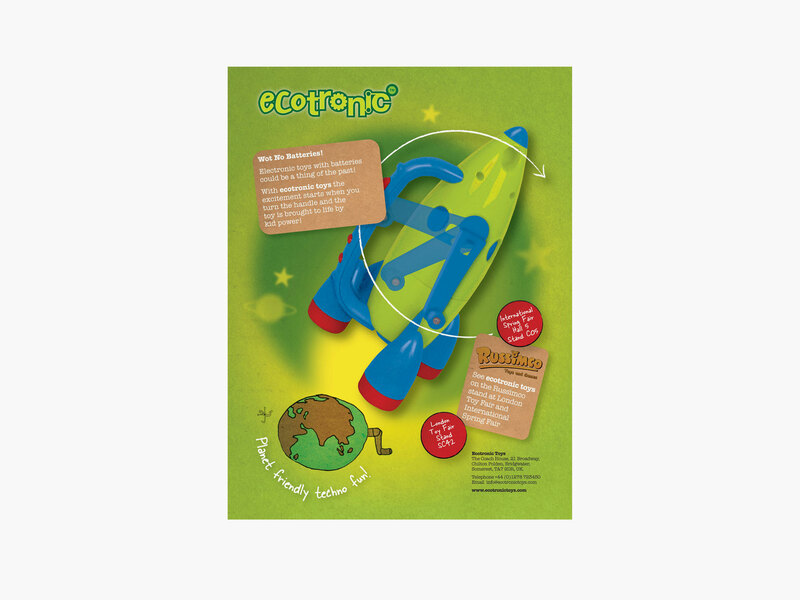 100% recycled pulp and completely biodegradable (0% landfill). No tricky wires. No vacuum packs. Perfectly designed to fit and protect the toys, it saved a third in costs and space. Meanwhile, we created their brand identity, advertising and website as their product range developed.